Each toolkit is a collection of resources designed to help the leadership team develop a common understanding of core financial and operational concepts in the club industry. Visit our VIDEO LIBRARY for recorded webinars and other video resources. Topics include F&B, Initiation Fees & Capital Dues, Course Maintenance Spending, and more. 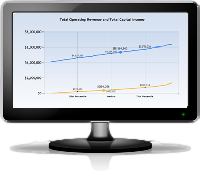 Do you want access to the online benchmarking tool?